As a member of the High Performance Incentive Program, we pay above-average wages and are dedicated to skills development for our employees. We are a proud member of the Insulation Contractors Association of America. 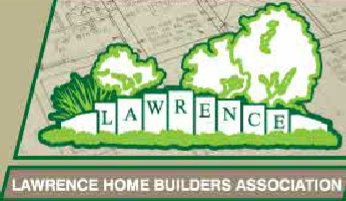 We are a proud member of the Lawrence Home Builders Association, the voice of the Douglas County home building industry. Green Factor Insulation is a proud member of the Lawrence Chamber of Commerce. The Better Business Bureau is dedicated to fostering honest and responsive relationships between businesses and consumers -- instilling consumer confidence and advancing a trustworthy marketplace for all. We have staff members who are certified by the Building Performance Institute, meeting high industry standards. 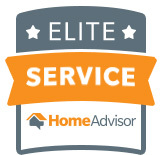 We are members of Efficiency First, the national association for the home performance industry. The Clean Energy Business Council is a member-guided network of professionals interested in renewable energy and energy efficiency as practical business solutions. CEBC offers a shared platform for clean energy companies, nonprofits, and government leaders in Kansas to network, collaborate, and stay informed of complex energy issues. We support Habitat for Humanity, an organization working to provide affordable housing solutions for people in need. We are involved in the sponsorship of local Community Action programs, and we donate to the cause of fighting poverty in our community. HERO financing from Renovate America is the nation's largest PACE (Property Assessed Clean Energy) financing provider. It provides homeowners access to innovative financing for energyefficient, water-conserving1 , renewable energy and hurricane protection2 home improvements, which can help lower your utility bills, and may increase your property value. Approvals are primarily based on the equity in your home and debt payment history rather than your credit score, and the interest on your payments may be tax deductible. * • No money down • 100% financing, up to approved amount • Not primarily based on credit score • Fast approvals • Interest may be tax deductible* • Flexible term lengths • Competitive, fixed interest rates • Paid along with your property taxes 1 Only available in California 2 Only available in Florida * Please contact your tax advisor to determine if you may be eligible for tax benefits. Flexible financing for almost any home improvement. • From $2,000 to $50,000 • No money down • Flexible term lengths and fixed rates • No interest, no payment special financing plans 1 No payments are required during the promotional period following project completion. Thereafter, substantially equal monthly payments are required for the remainder of the financing term until the unpaid balance of the amount financed is paid in full. Interest will accrue during the promotional period, but will be waived if the amount financed is paid in full prior to the expiration of the promotional period. EnerBank is a highly specialized bank founded June 1, 2002 and headquartered in Salt Lake City, providing unsecured home improvement lending through strategic business partners and independent home improvement contractors throughout the United States. Strategic partners include manufacturers, distributors, franchisors and major retailers of home improvement, remodeling and energy saving products and services. The bank provides private label loan programs for strategic partner organizations ("loan program sponsors"), which in turn make those programs available to their networks of dealers.